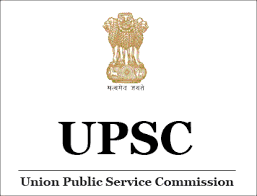 Union Public Commission Services (UPSC) is going to be released the notification of UPSC Civil Services 2018 exams in the month of January 2018 for the various posts such as Indian Admission Services(IAS), India Police Services(IPS),Indian Foreign Services (IFS), Group A, Group B and other essential services for the year 2018-2019. So all the interested candidates can apply for the examination. Here all the examination details are given below. The candidates who are eligible only they can apply for the IAS Application Form 2018. Candidate must have Bachelor degree in any discipline from recognized university.Candidates are appearing the final year exams can also apply. 2.SC/ST/PH Candidates no need to pay. The candidates who are looking for the examination they can visit the official websites www.upsc.gov.in or www.upsconline.nic.in. to apply for the IAS Application Form 2017/ UPSC civil services like IAS, IPS, IES.